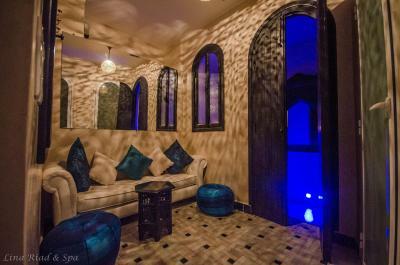 Lock in a great price for Lina Ryad & Spa – rated 9 by recent guests! The hotel was in the perfect position in the town. 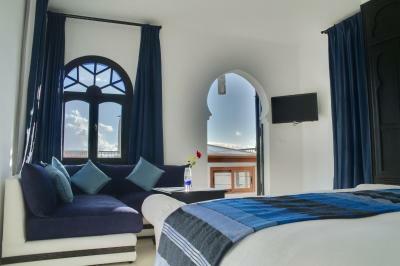 The suites at the front have views across the town and the room are spacious with very comfortable beds. 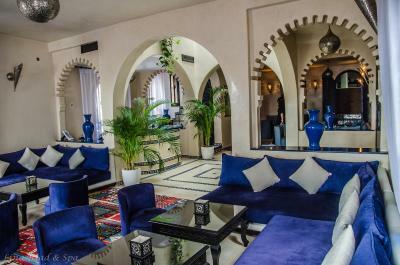 Please do not stay at this Ryad! No one answers the phone and exposed cables are everywhere. It's absolutely AWFUL! The only employees that are wonderful are the women that serve breakfast and clean! This is a town meant for 2 hours not for one night. The staff was welcoming and fulfilled every request. Highly recommend the hotel! The staff were exceptional people with caring hearts and so eager to please. 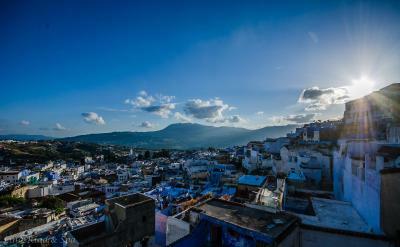 nice view, good location on the top of the town, friendly staff, very recommend. The breakfasts were delicious and generous. Dinner on the terrace was beautiful and very good. Staff was so friendly and helpful. Beds were very comfortable. Wonderful location. Great staff. 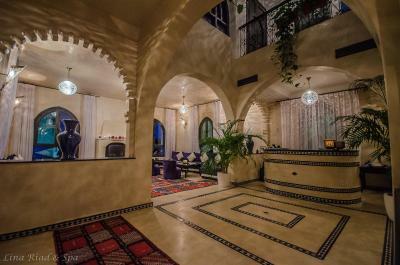 The only wierd thing is that rooms look to each other and there is no windows to the exterior, only the interior. At the begining is strange but once you realize the heat of summer demands AC you never really open windows at all. But would be nice to look out side. 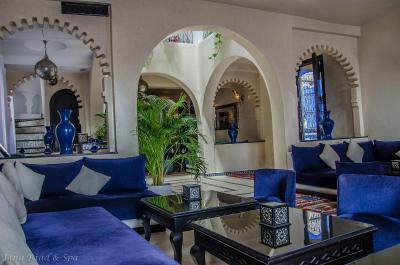 Consider it is a Ryad so old houses are very cossy but different. 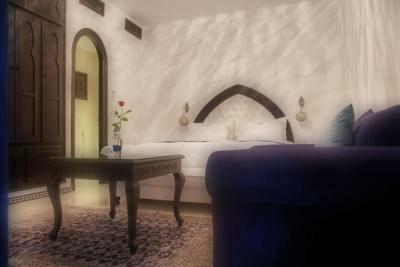 The read is traditional decorated the lounge and the room spacious and really nice. breakfast is very good. 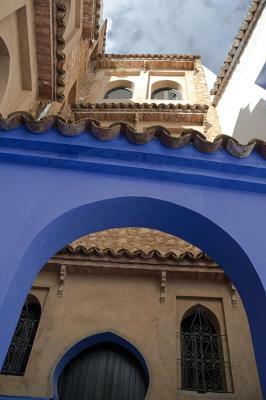 the location in the Medina in good position in wandering in the alleys. Lina Ryad was amazing in every aspect. Would highly recommend. 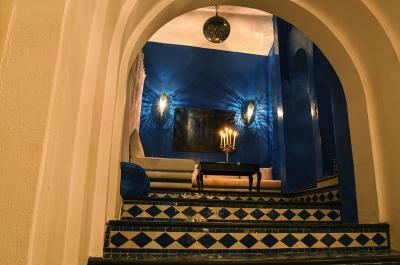 Lina Ryad & Spa is located in the heart of Chefchaouen and offers a rooftop terrace with a view on the Medina. 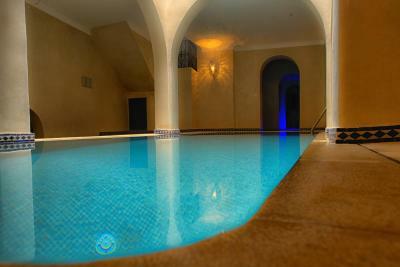 The on-site spa center features an indoor pool, a hammam and a hot tub. 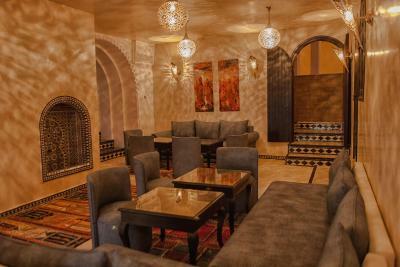 With views of the mountains or Medina, the air-conditioned suites at Lina Ryad & Spa are elegantly decorated and include free Wi-Fi, a flat-screen TV and a seating area. 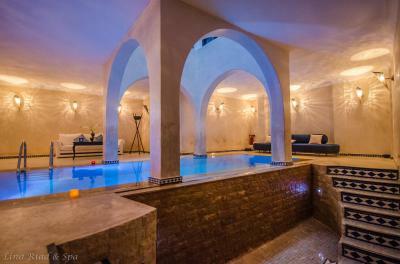 They each have a private bathroom with a bath or shower and free toiletries. 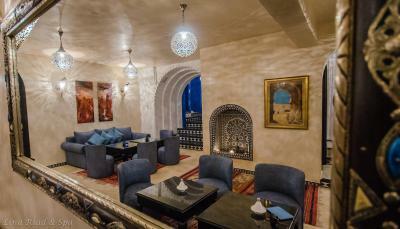 Traditional Moroccan cuisine can be served in the dining area upon request and a continental breakfast is prepared daily. 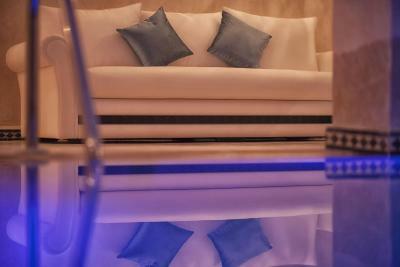 Guests are invited to relax on the patio or in one of the 3 lounge areas. 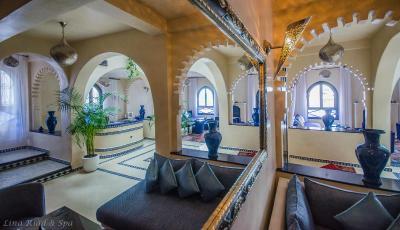 The host can also help organize excursions, city visits and on-site massages. 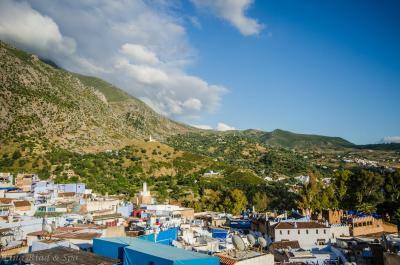 The property is a 1-hour drive from Oued Laou and Tétouan and 16 mi from Bab Taza. 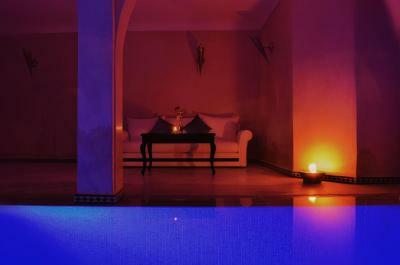 When would you like to stay at Lina Ryad & Spa? 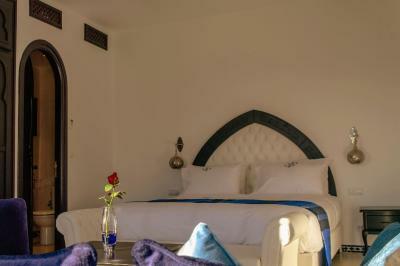 The suites are elegantly decorated and include a seating area, a flat-screen TV and free Wi-Fi access. 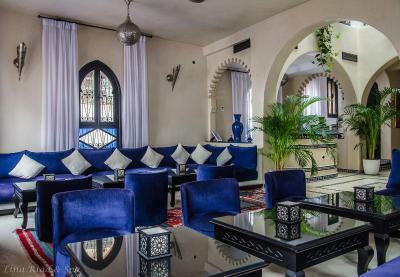 Surrounded by magnificent cerulean mountains and nestled in the heart of the medina, this luxurious riad enjoys a privileged position in one of Morocco’s most unique destinations. 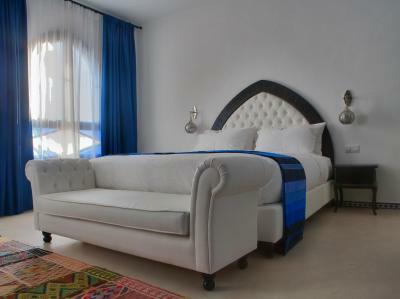 Many of the bright and spacious suites enjoy views of the surrounding peaks and the bustling medina. 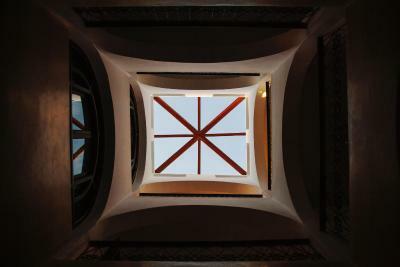 300 square meter terraces offer spectacular views, making Lina Riad and Spa a haven of tranquility within one of the most peaceful places in the world. Special attention has been paid to the harmonious shapes and colors of the mountains, with dim lights and aquatic scents captivating your every glance. Guests looking for a zen getaway should look no further. 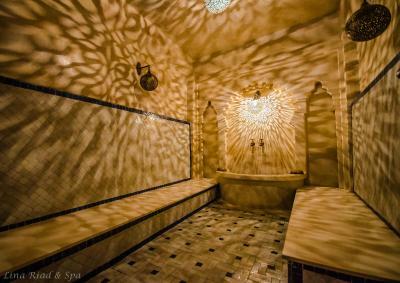 The spa with its heated indoor pool, oriental baths and Hammam will offer traditional delicious moments of relaxation. Massages and personal care with natural and organic products are proposed. 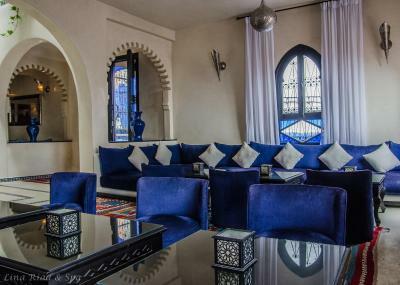 The personalized service promises a unique and unforgettable stay in an area where authentic Medina living is still preserved. 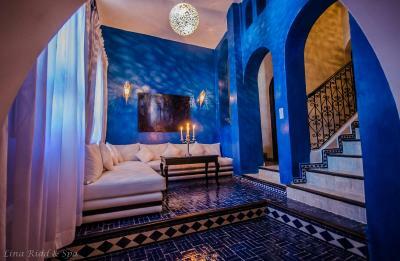 House Rules Lina Ryad & Spa takes special requests – add in the next step! Lina Ryad &amp; Spa accepts these cards and reserves the right to temporarily hold an amount prior to arrival. 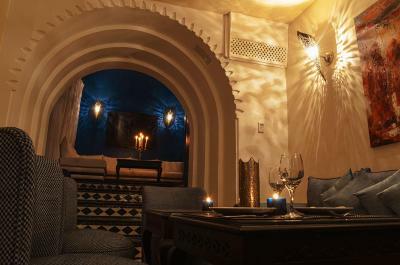 Lina Ryad & Spa accepts these cards and reserves the right to temporarily hold an amount prior to arrival. 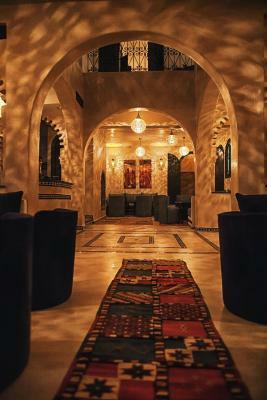 Please inform Lina Ryad & Spa of your expected arrival time in advance. You can use the Special Requests box when booking, or contact the property directly using the contact details in your confirmation. 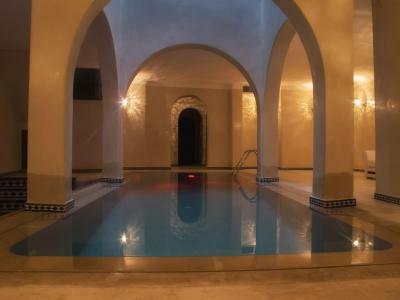 We were not told on arrival you had to book swimming times and as a large party had already arrived the spa and swimming spots had already been booked. Parking indication need to specify clearly. Breakfast, pool, terrace, location, deco. There is no onsite parking, so taking the luggage back and forth was a chore. We booked a room with a view, however there was no view. Room was very clean and spacious. Food was top notch. Loved the mint tea. 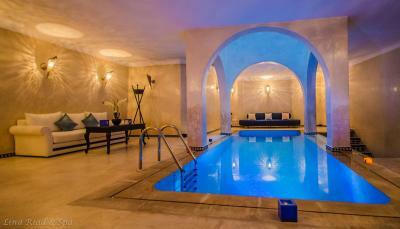 Good facilities, nice heated pool area. Everything! I honestly can’t rate this hotel high enough! Everything was perfect from start to finish. Clean, good food, beautifully presented! 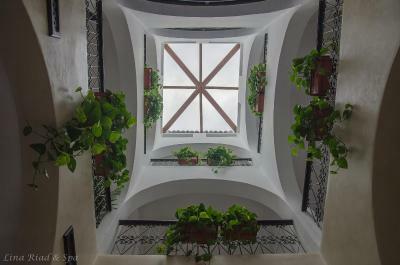 An all round gorgeous hotel! Lovely location, we had a great room with our own terrace. The staff were lovely and breakfast was really good. Would recommend this property to others. I wish there was a hot tub/jacuzzi onsite. The room didn't include an iron. 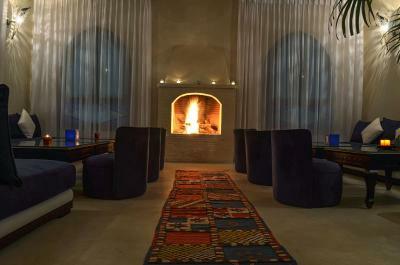 I love the boutique style hotel, staff, and overall experience. The staff members were amazing! 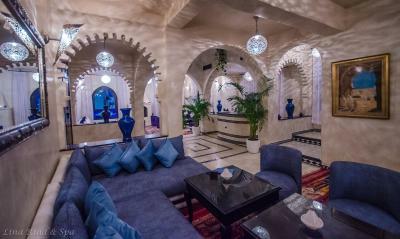 Shaima, Houda, and Ibrahim were extremely professional and personable, and did everything they could to make my stay enjoyable. The beds were super comfy and breakfast yummy! Note: this hotel is not suitable for those with mobility issues. The room we were in didn’t have accessible outlets but I noticed in other rooms this wasn’t an issue. The room with a balcony view, probably the best view in the city!